You’ve reached L’Occasion, founded, authored and published by Jill and Jason. This blog was awarded Best Overall and Best Writing at the prestigious Wine Media Awards (then, Wine Blog Awards). 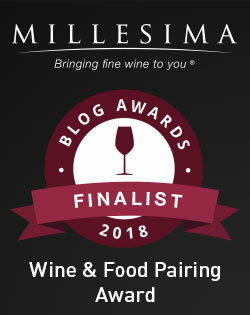 Our post Cooking at Home: Affordable Bordeaux & Homemade Pasta was a finalist for the Millesima Wine Blog Awards in the Food + Wine category. Jill is a regular contributor to Forbes digital and USA TODAY 10Best and Wine Country Travel expert panelist for USA TODAY’s 10Best. Jill also contributes articles and tastings for Decanter, Wine Enthusiast and Wine Stories for Relais & Châteaux Instants Magazine. Her story This French Wine Region’s Pink Lakes Produce The World’s Best Salt was shortlisted and scored 3rd place for a Born Digital Wine Award in the Food + Wine category. Recently work has appeared in partnership with Wine Enthusiast, Decanter, USA Today, Vivino, Palate Press, Luxe Provence, Courrier International, American Winery Guide, Wine Tourist Magazine, Provence WineZine, Perfectly Provence, California Winery Advisor and DuVine Adventures and Cycling. Jill is a fiction writer with short stories published in multiple anthologies and literary journals and my work has been featured in several print anthologies, on NPR and Longform. Her novel tells the story of Provençal winemakers during the Second World War through the later part of their lives in 1970’s Napa. Jill holds a Bachelors Degree in Communications from the University of Illinois at Chicago and is a Provence Wine Master from the Wine Scholar Guild and a 2018 Fellow at the Symposium for Professional Wine Writers. Disclosure: PLEASE BE AWARE THAT SOME (MANY) OF THE WINES FEATURED ON L’OCCASION ARE MEDIA SAMPLES. THIS MEANS THAT THEY WERE PROVIDED TO US ON A COMPLIMENTARY BASIS, TO TASTE AND HOPEFULLY INCLUDE IN A STORY OR REVIEW. WE ARE NEVER PAID ANYTHING HERE ON L’OCCASION AND WE ARE NEVER OBLIGATED TO PRESENT WINE TO READERS IN ANY WAY. Thanks for your previous comment. I like your many creative writings. a new “Ocean Movement Surfacing” story. and please share with your Elephant Journal+ friends. I had a notice this morning that you are following “Speaking of France”. I wanted to let you know that it’s an old blog, no longer in use. I thought it had been deleted! My current site is “Postcards from France”, so I hope you’ll join us on that site instead. How strange! I’m following Postcards… looking forward to getting one or two from places lovely & fun. Thanks for following! Jill, I don’t know how you found my blog, but I’m glad you did because now I have found yours! Yoga and wine are both high on my list of favourites. Or, I should say, champagne! I did a story on that last fall, called “Tasting the Stars”. I will enjoy keeping up with your Euro travel and tasting adventures. Thanks Wendy! I have to check out your Champagne story. Discovered your blog here on WordPress! Glad to have made the connection. Thanks for reading! Thanks for dropping into my blog and leaving such a fun comment. It made my day. 🙂 So now I’ve found your blog too. We share a very similar work profile – I’m also a freelance food & travel writer, also wrote my first book (but it’s a children’s book), and outside work, I continue to indulge my passion for food and wine, though I have not the expertise in wine like you. Glad to link up, and I look forward to reading your blog. I’m always looking for meal (& treat) ideas. My husband does the cooking but we work together…wine & words are my job. Congratulation on your book! I’ve got kiddos & reading is the best gift/habit we can pass on…I’d love to hear more about the story. I look forward to reading more & hopefully pairing some great wine with your recipes. Cheers! Enjoy your blog very much. I recently did two wines tours: 1.) Douro River Valley Wine Region-Portugal and 2.) Bordeaux, France & surrounding vineyards. More wine tastings and pairings than I should admit. Fabulous time! Wow, very wonderful trips. Love your blog, thanks for sharing your adventures!